The National Trust at Stourhead, supported by the Heritage Lottery Fund and Cranborne Chase AONB, is about to embark on a project to commemorate, through sculpture and workshops, the effect of World War 1 on the community in this corner of Wiltshire. Many local men enlisted with the Dorset Yeomanry. Harry Hoare, the heir to the estate, was fatally wounded fighting in Palestine. Ebenezer Stone, a stable lad, lost both legs. There will be five large installations across the estate. These will be created from early 1915, over a two-year period, by the Scraptors Sculpture Group. Based in the West Country, the Scraptors specialize in creating themed sculpture trails using recycled materials. The installations will include sculpture and murals showing the change from peace to war; fighting in Gallipoli; the Middle East War; the lives of the wounded and the death of Harry Hoare. A key installation will be waterborne to reflect the convalescent soldiers who were allowed to row on the lake. A floating band will represent the concert-parties laid on by Alda, Lady Hoare for the wounded ‘tommies’ recuperating at the local Red Cross Hospital in Mere. Stourhead volunteers have discovered a great deal about the effect of the war on the community and that research will inform the workshops and installations. 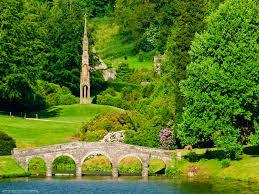 Details will be published in the Stourhead events brochures and on the National Trust website. The Scraptors will be updating progress on their blog. This entry was posted in Projects/Events and tagged artists. Bookmark the permalink.